One of the most popular destinations in the Dominican Republic, Puerto Plata is a town and a region on the north coast of the island nation. The region’s capital, San Felipe de Puerto Plato, is a charming town founded in the early days of Spanish exploration. 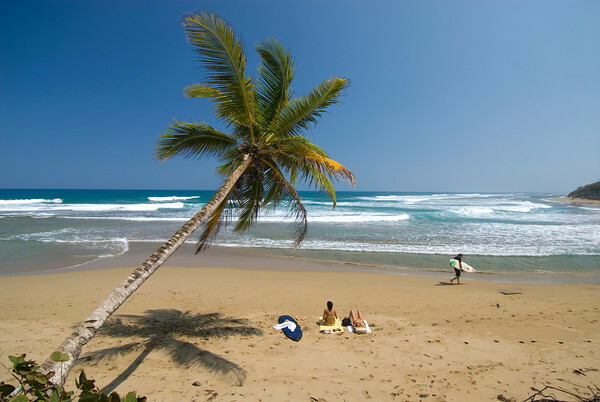 The surrounding region includes the pleasant towns of Sosua and Cabarete. The fort of San Felipe de Puerto Plata is one of the first in the Americas. Built in the sixteenth century to defend the island from enemies, it now houses an exhibition of historic photographs, weapons, and cannons used in the Dominican Republic’s battle for independence. A four-mile Malecon similar to the ocean road in Santo Domingo begins at the fort and stretches through town. The highlight of the town center is the art deco Cathedral of St. Philip the Apostle. 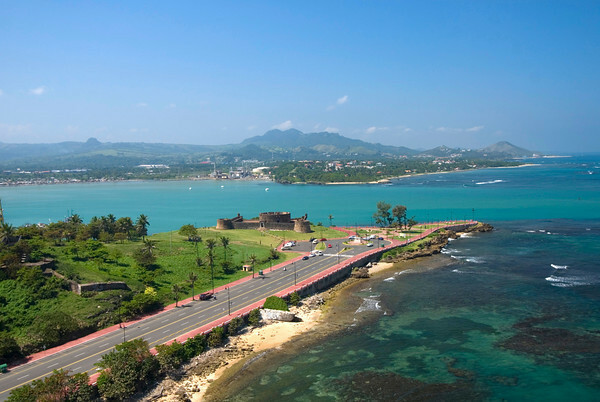 The area of Puerto Plata is known as the Amber Coast (Costa del Ambar). Much of the world’s fossil plant resin can be found here, and there are many jewelers and galleries showing exquisite pieces of Amber. The Amber Museum of Puerto Plata is certainly worth a visit. Puerto Plata is also famous for its rum. The Brugal Rum factory, located in the city, is one of the oldest in the country. Founded in 1888 by Andres Brugal, the factory now bottles over 360,000 liters of dry, delicious rum every day. Overlooking the town is a 16-meter-tall statue of Jesus Christ Redeemer similar to the one in Rio de Janeiro, Brazil. The statue is located on Isabel Torres Mountain in the Pico Isabel Torres National Park. The mountain makes for a pleasant day trip. The summit is accessible by by cable car and offers a fabulous view Puerto Plata bay. Another interesting Puerto Plata attraction is the Damajagua Falls, 28 waterfalls of up thirteen meters than fall into swimming pools as deep as seven meters. The best beaches in or near Puerto Plata are Guarapito; Cofresi, a beach with a panoramic view of Puerto Plata; Sosua, a spectacular beach with crystal clear water great for snorkeling or diving; and Cabarete, world capital of windsurfing and kiteboarding. Historic and beautiful fort of San Felipe de Puerto Plata. Cabarete beach near Puerto Plata, Dominican Republic.